Professional photography for the moments in life worth savoring. Services include event photography, wedding photography, engagement photos, branding & storytelling, head shots, product photography, real estate photography, office environment settings, and more. Promotevents provide professional photography services to the Washington, DC, Maryland, Virginia, and surrounding areas. Do you need event photography of your next event for marketing, social media, sponsors, reports, and more? Our Event Photography services covers all of your needs. We will work directly with the event coordinator in advance via a phone call, email, or in person, to make sure we are ready to capture the moments of your event that are the most important. We offer a simple one-person shoot, or multiple photographers who capture images of the different activities taking place at your event. We also offer aerial drone photography to capture a bird's-eye view of your event. This is great for showing the size of the event, layout of activities for future events, and much more. Contact us today to schedule an initial consultation. From actor and corporate head shots, to family photos, pregnancy, baby photos and more, wWe offer any type of portrait photography you may need. Contact us today to discuss your needs. Are you a Realtor who needs photography of your listings? We provide complete HDR location photography, including drone photography. Contact us today for your real estate photography needs. Yes, we do weddings! We have several talented photographers to capture your special day in the style of your choice. We are constantly adding to our photographers' portfolios. Please contact us today. Do you need sports photography for your next event? Everything from behind-the-scenes candid photos, to highly-produced and live-action photos showcasing athletes in motion. We specialize in bringing studio lighting into difficult locations and creating a very specific visual mood. We have photographers who are available for commercial and editorial assignments worldwide. We can also add on a video package as well if needed. Contact us today. We love animals and love our pets! Let us capture your pets in an environment in which they are the most comfortable. We provide on-site photography services and will come to your home and bring the equipment needed to get professional photographs of your pets! Bark, meow or chirp at us today to set up a time! Do your company’s marketing efforts include attending trade shows or staging promotional events? 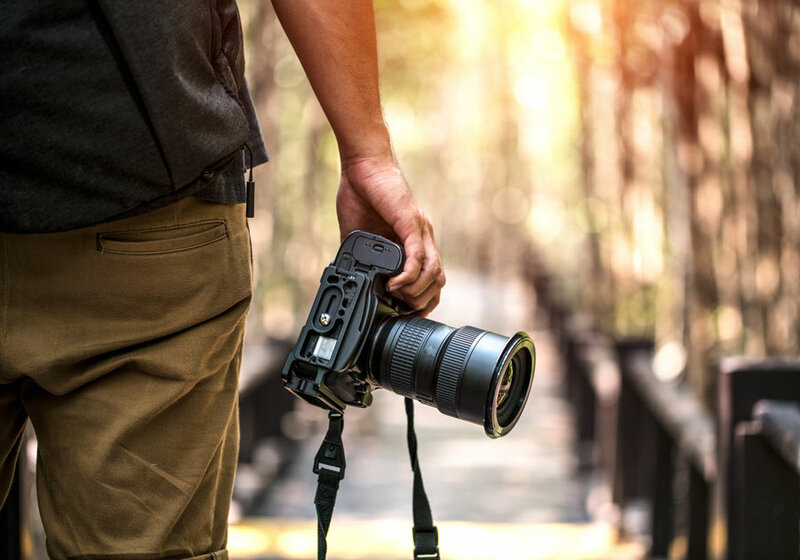 Wouldn’t it be great to have high-quality photos of your exhibits and event highlights to include in your marketing brochures or share with your customers and prospects online? As an accomplished, full-service media company, Promotevents can provide premium event photography services that will expertly capture and preserve the most memorable moments from your special events. You’ll receive superior-quality photos you can use for marketing, making a favorable impression on social media, livening up your business reports, and more. Our experienced event photographers rely on their expertise and state-of-the-art equipment to create masterful works you’ll be proud to display in your home or office, or to showcase your business in the most favorable light. Whether a one-person shoot or taking photos from multiple angles works best for your event coverage needs, you can count on us to deliver superior results that will exceed your expectations. We also understand the importance of planning, to ensure the best outcome for your photo shoot. Our photographers work closely with event coordinators to determine their objectives, and to make sure we have all the bases covered. This client-focused approach to event photography differentiates Promotevents from most of our competitors. More companies are discovering the benefits of taking aerial photographs at outdoor promotional events. Our capabilities include stunning aerial photography that will provide a unique perspective of the event that goes beyond the scope of on-ground photo shoots. We use high-tech drones that deliver a bird’s-eye view, which is perfect for capturing crowd sizes and adding a sense of scale to the event. Aerial photographs can also prove invaluable when planning the layout for future events. When it comes to event photography, seeing is believing. We encourage you to view samples of our photographs from several events we’ve covered in the past. We think you’ll agree that our event photographers are among the best in the business — and they can produce similar results for your event. If you want to capture the best moments from your events, Promotevents is ready to help. Contact us for more information about our top-notch event photography services and to schedule a free initial consultation today.